The singer landed up in Kosuge Prison in downtown Tokyo after a customs officer at Narita Airport found a large wodge of marijuana in his suitcase on Jan 16, 1980. That was just a few months after Guinness World Records declared him the most successful songwriter in history, having penned 43 songs that sold a million records or more, such as Penny Lane, When I’m Sixty-Four and Yesterday. 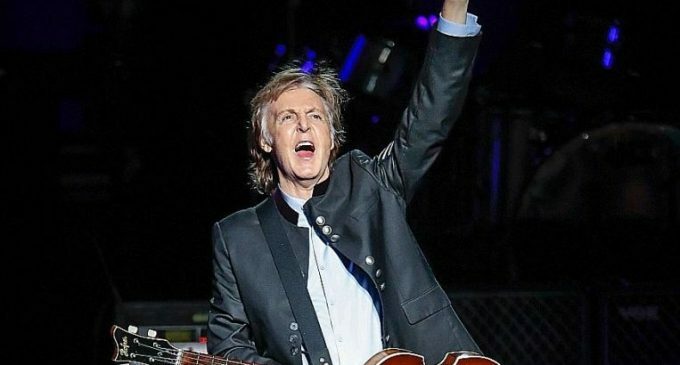 As his biographer Philip Norman, 74, writes in this new book: “He heard a shout from the yakuza’s cell of ‘Yesterday, please’, a request with which it was clearly wise to comply.Their guard shouted for silence, but didn’t enforce it as he was listening too.” Instinctively, he adds, McCartney belted out another three Beatles hits for them. After nine days behind bars, the Japanese dropped all charges against him because they said he had made a full confession, shown repentance and suffered “social punishment”. He was deported right after that, much to the anguish of his following in Japan. His yakuza howler is one of the hundreds of fresh and fascinating anecdotes in this new biography of the iconic band’s most elusive member. The other three, his fellow Liverpudlians, were relatively open books compared to him: the anti- war activist John Lennon and his wild second wife, Yoko Ono; the taciturn, New-Agey George Harrison; and the well-meaning, oft- teased Ringo Starr. 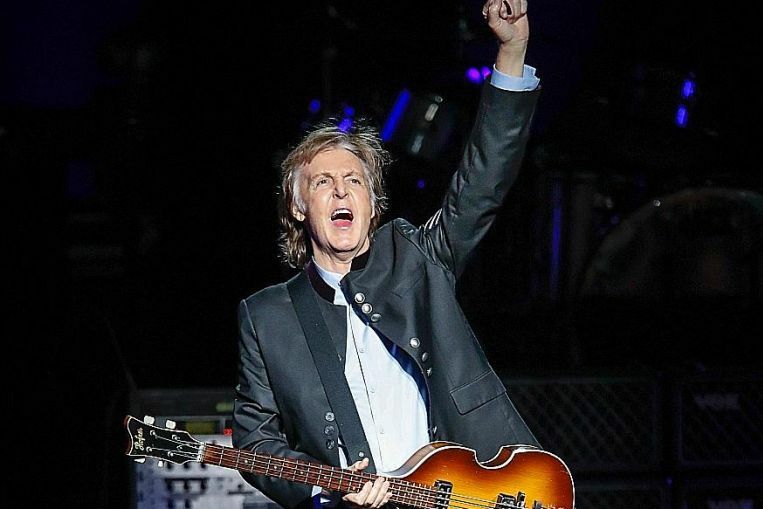 McCartney’s elusiveness, argues Norman, comes from having lost his midwife mother, Mary – who inspired his song Let It Be – to breast cancer when he was 14. From then on, he put a protective shell around his personal life or, as McCartney says in the book: “I was determined not to let it affect me. I carried on. I learnt to put a shell around me.”That shell led to him being seriously misunderstood now and then, such as the morning after Lennon was gunned down in New York by a crazed fan on Dec 8, 1980. In shock, all he could offer reporters while chewing gum was: “It’s terrible news. We’re all very shocked… it’s a drag, isn’t it? Okay, cheers.” Five questions this book answers 1 What, and who, actually broke up The Beatles? 2 What does talent need to succeed? 3 How might you best handle a scandal? 4 What should you look for in a business partner? 5 Why is there still no band on a par with The Beatles?In truth, he cried hard and long in private and reached out to Lennon’s widow, Ono, to mend the fences between him and Lennon. Norman, whose 1981 biography of The Beatles, Shout!, is still considered by many to be the best Beatles biography, had painted McCartney as the money-grubbing architect of the band’s break-up in 1971. He reinforced this image further in his 2008 biography of Lennon, John Lennon: The Life, and then was audacious enough to suggest to McCartney in 2012 that the latter should allow him to write up his life story as a companion volume to his book on Lennon.It was actually Norman’s way of making amends. As he admits in this book: “Actually, if I’m honest, all those years I’d spent wishing to be him (McCartney) had left me feeling in some obscure way that I needed to get my own back.”Despite such vitriol under the bridge, in 2012, McCartney surprised him by giving him his “tacit approval” (read: help with contacts and material, but no direct involvement) to write the story of his life. That enabled Norman to, among other things, interview the legend’s stepmother Angie, stepsister Ruth, in-laws, a lifetime of neighbours and staff, and even the McCartneys’ regular cabby, Reggie McManus.On the whole, McCartney comes off very well in this book, always keen to be decent and obliging to everyone, even if he did sue his bandmates to dissolve their business partnership right after they broke up.When Lennon separated from Ono, it was McCartney who volunteered to play Cupid between them. When Harrison learnt that he had brain cancer, McCartney dropped everything to be with him. Stories abound of how McCartney would pay the hospital bills of friends’ friends. And Lennon’s mother-hen aunt Mimi, who had always looked down on McCartney for being from a bad neighbourhood, told Norman he was the only Beatle who kept in touch with her after Lennon’s death. Norman, who is meaty, juicy and acerbic in his storytelling, gives readers sharp snapshots of his subject, who is “a mix of ultra-trendiness and ultra-tradition” and who, despite being financially astute, worries so much that bankruptcy might be around the corner that he scolds his staff for popping a bottle of even celebratory champagne. Compelling as the book is, it would not be of much value if it were just a straightforward recounting of a rock star’s life. It is actually a manual for survival especially if you, like McCartney, saw your creative powers peak in your early 20s and had to think up all sorts of ways to be here, there and everywhere to maintain your reputation as the world’s most successful composer. So even if you do not give a hoot about The Beatles, there is plenty of the tragicomedy of life in this book to beguile you. As an up-and-coming entertainment reporter in the 1960s and the 1970s, British biographer, novelist and playwright Philip Norman had a ringside seat on the rise and fall of The Fab Four. He has translated his knack for winning their trust, and nose for good stories, into fly-on-the-wall accounts of their lives and times. In fact, this book is such a blow-by-blow account of every significant moment in Paul McCartney’s life that you would be forgiven for thinking Norman was fulfilling an onerous official duty to set the record of the Beatle’s life straight. His effort is magisterial yet his deft, tight and clean style makes poring over the book’s 800-odd pages a pleasant jaunt. This book is as good a read as The Rolling Stones guitarist Keith Richards’ much-lauded 2011 autobiography Life, which he wrote with the help of James Fox. For someone who has written so much about musicians, including The Rolling Stones, Elton John and the late Buddy Holly, Norman is curiously at sixes and sevens in articulating the magic of music to the reader. He never gets into McCartney’s creative process, much less how he arrived at such poetic perfection as Eleanor Rigby, Blackbird or Yesterday. Yesterday originally had the opening lyrics: “Scrambled eggs/Oh, my baby, how I love your legs”. McCartney’s refusal to be directly involved in this biography also meant Norman could not interview him to tease out his thinking on shaping songs. It is a big miss in an otherwise fitting contribution to The Beatles pantheon.